When you’re trying to sell your home, impressions are everything. Research shows that the average buyer formulates an opinion of your property almost instantly. That’s why you can’t leave anything to chance; you’ve got to see to it that all aspects of your home convey promise and appeal. That includes your lawn and garden—and yet, many homeowners totally overlook the outdoor areas of their home as they prepare the property for listing. 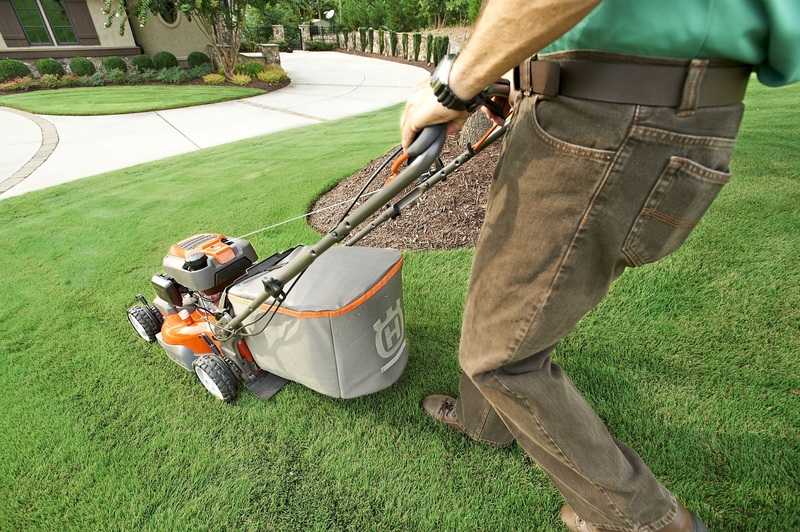 We’d advise against such oversight, and encourage you to make lawn maintenance a big priority as you prepare to sell. Remember, the front lawn is basically the first thing potential buyers will see—and it can go a long way toward establishing their opinion of your home. The last thing you want to do is allow your lawn area to look unkempt or disheveled—but the question is, what can you do to ensure it looks nice? Invest in some outdoor containers. Container plants can really help your outdoor area look put-together, especially the front porch and entryway. Having a few nice container plants also shows some of the potential the front of the house offers—some of the ways in which the next owner can make it look fresh and fancy. Apply new mulch. This is really a no-brainer. A new batch of mulch will make everything look nicer, neater, and better taken care of. Plus, mulch is both inexpensive and easy to apply—so it’s a simple way to spruce things up a bit. Prune and shape. Do you have any shrubs or bushes that are completely out of control? Any branches that hang over your sidewalk? Taking some pruning shears and trimming things up a bit can really make the front of your home feel neater. Clean up water features. If you have bird baths, koi ponds, or any other lawn features that involve water, take time to ensure there’s no algae floating around, or any general gunk. Such things can really be unappealing to potential buyers. Attend to plumbing problems. Buyers may very well inspect the outdoor faucets and spigots, and if you have any that are leaky or malfunctional, that’s a red flag. Get a professional plumber to help you remedy any such issues. Rent a power washer. If you don’t have a pressure washer already, you might consider renting one so that you can wash down any paved outdoor surfaces, which can become stained and dingy-looking over time. Anything you can do to show that your home is routinely cleaned and well-maintained is ultimately going to fill potential buyers with confidence! Bottom line: Your front lawn area should be a selling point for the home—not a deterrent. Hopefully you’ll find these tips helpful in making your lawn look its absolute best. To receive further assistance staging and selling your home, contact the Minges Cline real estate team today.